Caren Nichol Selected as Super Woman in BusinessEvans | Petree, P.C. • Evans | Petree, P.C. EP President Caren Nichol has been selected as an honoree for the Memphis Business Journal’s Super Women in Business class of 2018. The program honors 25 women across different industries who are actively engaged in community reinvestment and who have achieved success through leadership in business. Caren is licensed in both Tennessee and Mississippi and practiced commercial litigation and family law for 25 years, arguing cases before the Sixth Court of Appeals, the Tennessee Supreme Court and the Tennessee Court of Appeals. Recently she has taken on a new role by joining Evans Petree’s team of professionals that make up the Property Tax Group where she is litigating commercial property tax appeals before state boards of equalization and state courts. Caren is a member of the American, Tennessee and Memphis Bar Associations. She has served on the Board of Directors for the Memphis Bar Foundation and is a member of the Tennessee Bar Foundation. She is a former member of the Leo Bearman, Sr. American Inn of Court and was a member of the inaugural class of the Tennessee Bar Association’s Leadership Law Program. Recently, she has been named a Family Law Power Player in MBQ Magazine. 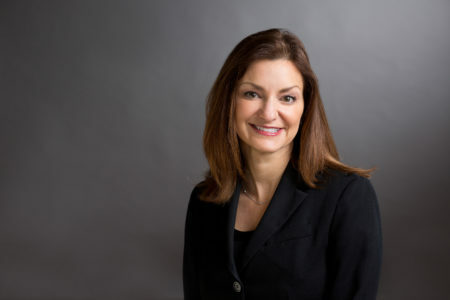 She is AV-rated by Martindale-Hubbell and was selected by her peers for inclusion in The Best Lawyers in America 2019 in the field of Commercial Litigation- her seventh year for inclusion. She has also been selected to the Mid-South Super Lawyers list in the area of Family Law and is listed by Super Lawyers as one of the top 50 Women Lawyers in the Mid-South. She was also chosen as a finalist in the Memphis Business Journal’s 2016 Best of the Bar Awards. The 7th Annual Super Women in Business luncheon will take place on Friday, September 21st at 11:30am at the Holiday Inn University of Memphis. See Caren’s Facebook live clip by clicking here.